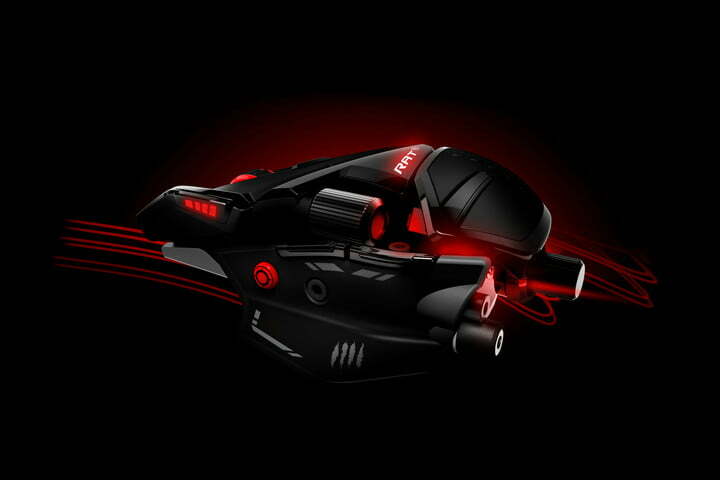 Gamers take their mice seriously. There is no point in spending thousands of dollars and hundreds of hours building the perfect gaming rig if you’re going to get fragged simply because your mouse won’t keep up. That is why companies like Mad Catz spend their precious resources making up new and better equipment. On Monday, the company announced a new line of RAT gaming mice, with a few upgraded units running the gamut from entry level to high end. The RAT1, RAT4, RAT6, RAT8, RAT PRO S+, and RAT PRO X+ all include upgrade sensors that improve performance across a number of metrics. 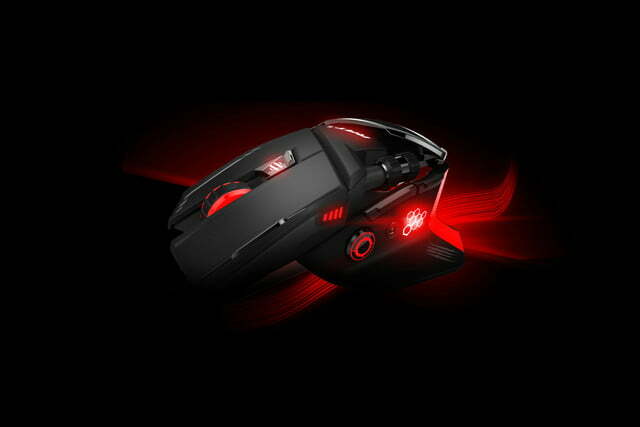 Whether it is the overall performance of user commands, faster reaction times, or more flexible button configurations, the new RAT line is aimed at helping gamers react more quickly and efficient during gameplay. The new line offers additional features and functionality to go along with the new sensors. Ergonomics have been improved, with adjustable and customizable components aimed are better accommodating different hand shapes and grips. Each RAT mouse can be adjusted to accommodate various mousing styles, including the palm grip, the claw grip, and the fingertip grip. Kameleon RGB technology represents integrated intelligent lighting zones with up to 16.8 million color variations. Three independent illumination zones can be controlled across a number of variables, including the speed of LED effects such as breathing, heartbeat, and color cycling. Finally, the Flux software interface enables the quick and intuitive tuning of the sensor, macro buttons, and RGB LEDs. Flux allows for unlimited profiles to optimize for specific games, precision control over sensor speed, and the ability to tweak sensor resolution, lift-off height, and USB report rate. The lower-end models are available for purchase. 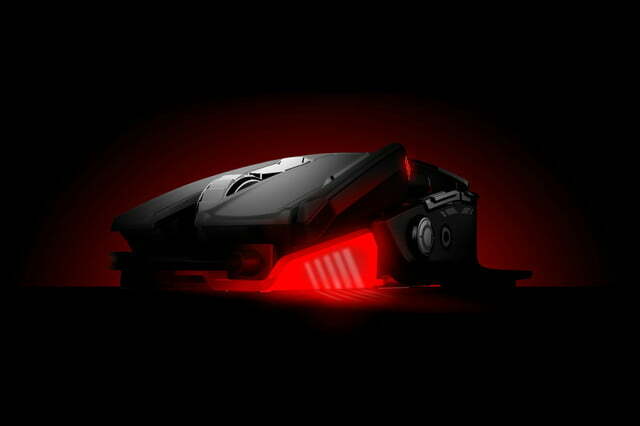 The RAT PRO S+ and RAT PRO X+ will be shipping by the end of Mad Catz’s fiscal year in March. 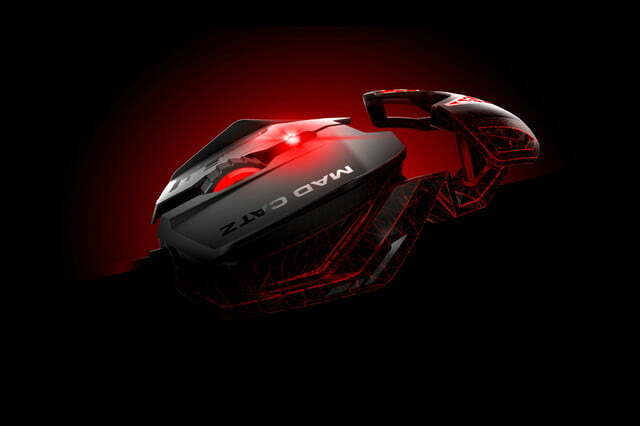 The different models vary in terms of their construction, sensor type, number of macro buttons, and more, meaning there is likely a model that will appeal to all gamer types and budgets.